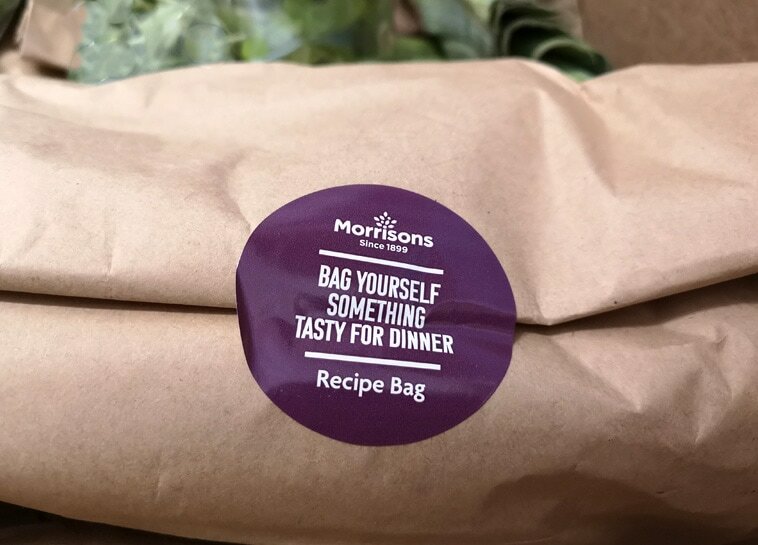 This week we’ve been trying out the new recipe box service from Morrisons – Eat Fresh, here’s how we got on. 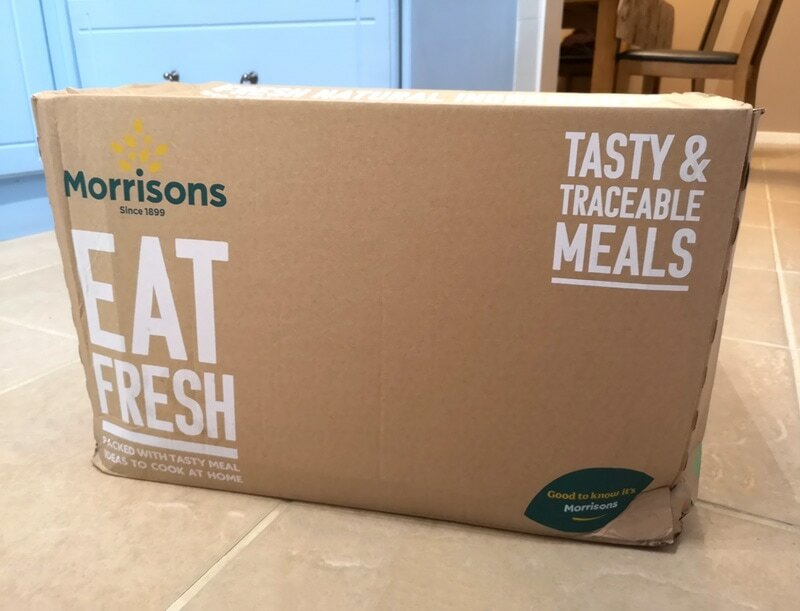 The Morrisons site is so easy to use to order the Eat Fresh boxes. 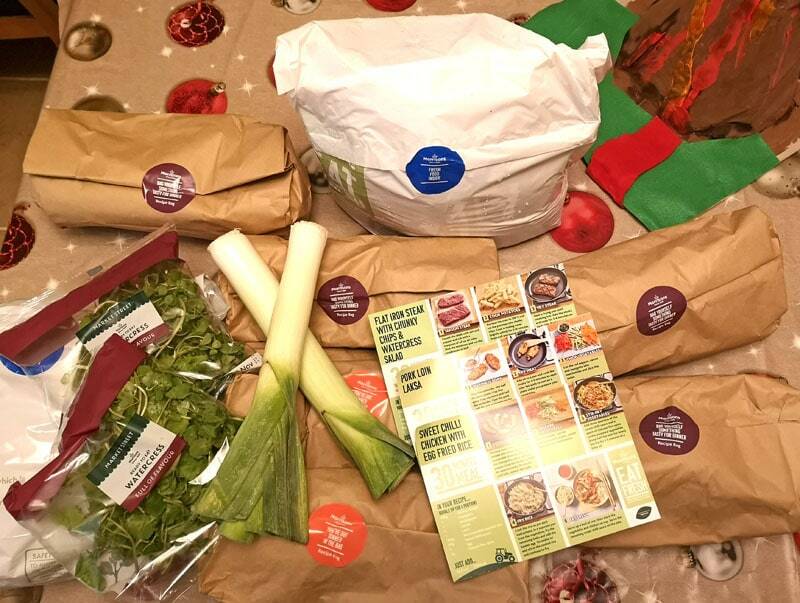 We chose 3 different meals for the four of us to try out and all the fresh ingredients that we needed were delivered straight to our door in a huge Morrisons box. The only thing not provided is the oil for cooking and salt and pepper. Now for all those who have seen me mention my ‘cooking’ on social media before and the slightly infamous fact that I once poisoned poor Si with my attempts at cooking, don’t worry I use a meat thermometer these days – it’s the only way he’ll still eat my cooking unsurprisingly. Everything you need for each recipe comes in separate brown paper bags, one for each recipe pre-portioned for 2 people (apart from the meat and couple of larger items like leeks which are loose in the box or in insulated packaging to keep them cool) and you get a recipe card for each meal with directions on what to do, timings and oven temperatures. Honestly, even I would struggle to get this wrong. 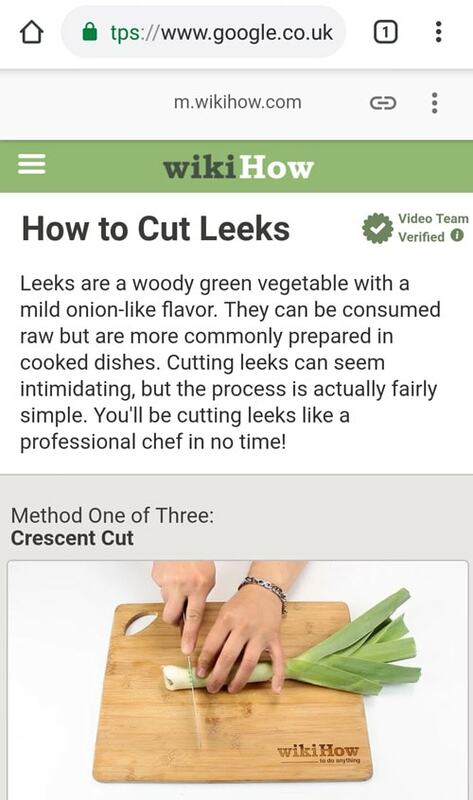 Although, confession time – this is a screenshot below of something that I had to search up whilst preparing the veg. Pure evidence of my actual lack of cooking skills, so be prepared to be impressed when you see some of our meals – I was and Si was pretty much speechless, which doesn’t happen often. x 4 Flat iron steaks, x 4 Chicken breasts, x 4 Pork loin steaks, x 4 courgettes, x 4 carrots, 250g chestnut mushrooms x 2, 250g baby plum tomatoes x 2, x 4 big red peppers, 85g watercress x 2, x 2 eggs, 70g fresh coriander, x 2 lemons, x 6 potatoes, 2 leeks, x 2 onions, x 2 limes, x 6 Chinese Spice sachets, x 2 soy sauce sachets, x 2 Katsu curry sachets, 200ml coconut milk x 2 and 250g fine egg noodles. 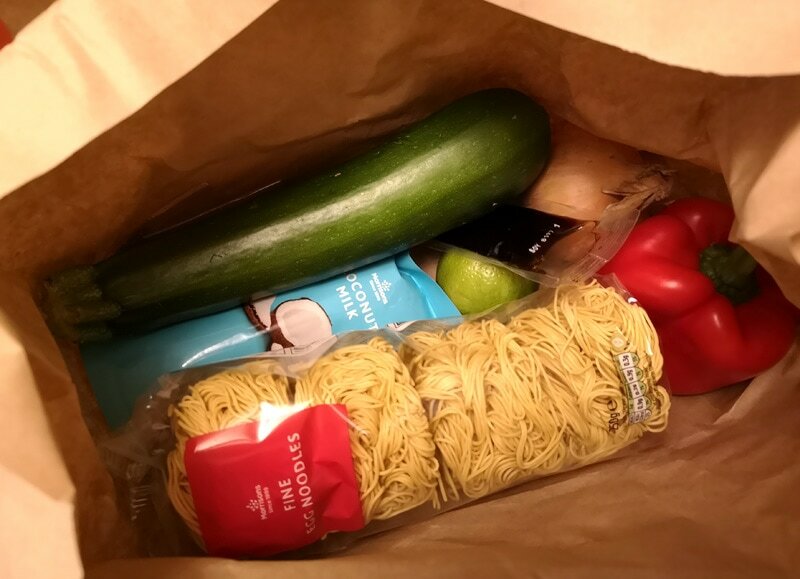 I was really impressed with how much was in our box, especially as the new Eat Fresh recipe box service Morrisons have created is aimed at making cooking kits like this more affordable. 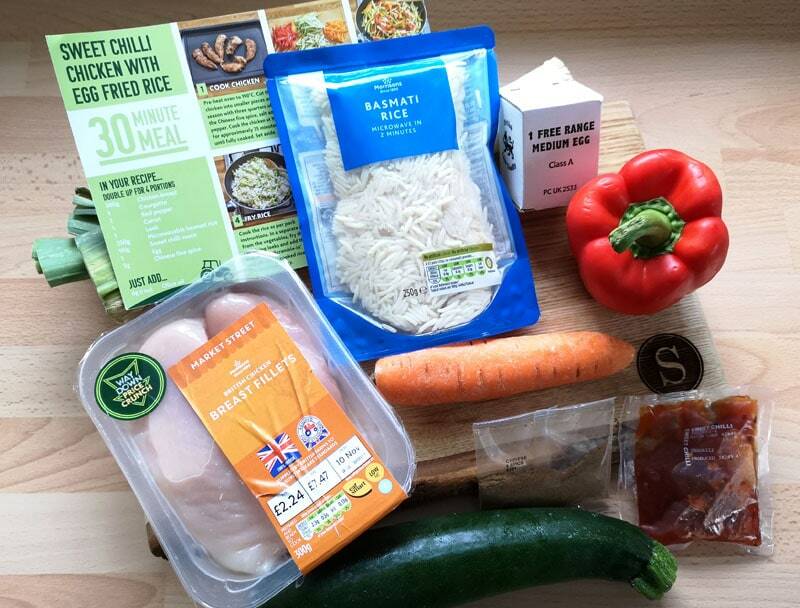 Three meals for two people from Morrisons Eat Fresh costs £25, compared to up to £43 from other recipe box brands! Our box was three meals for four people and is only £40 to buy. By the way the photo above is classic of this house, a Christmas table-cloth put down way too early in the year and a slightly wet half-finished volcano model for school. 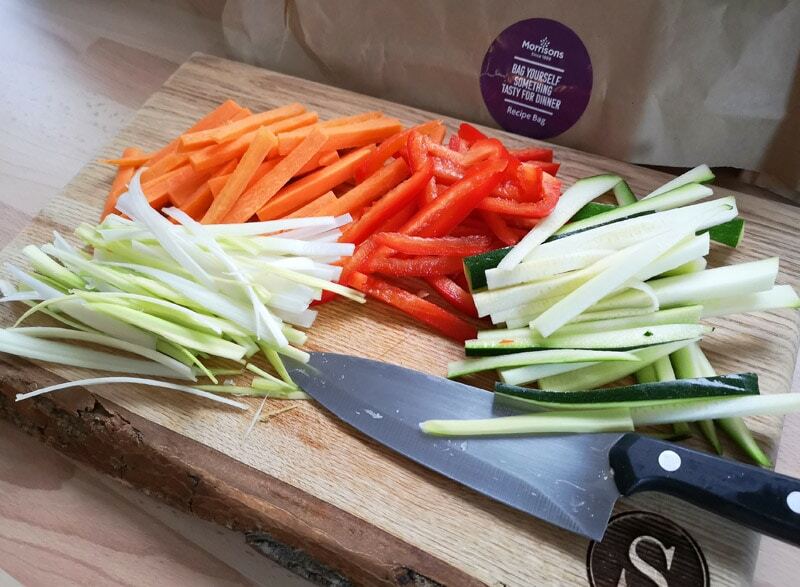 This is part of why I was so keen to try Eat Fresh boxes and their thirty minute recipes! There never seems to be enough hours in the day to have much time to spend in the kitchen, especially not since I started to home school one of the boys and with there always being homework needing to be helped with or general chaos in the house. 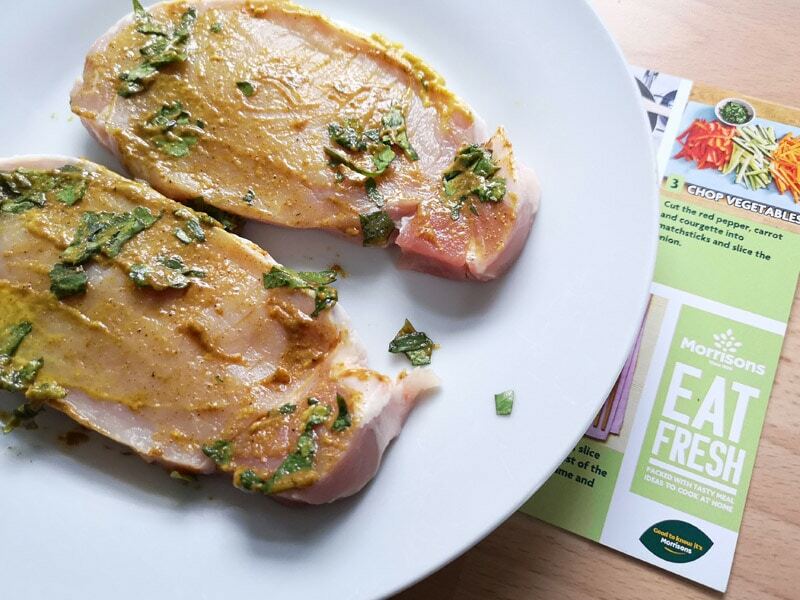 The Eat Fresh box was especially time-saving for us, as not only did I not have to go food shopping or even think about what to make for tea that night, but also all the nutritional information was on the back of every recipe card in the box. For a family who carbohydrate count for a teen with Type 1 Diabetes, this was a brilliant time saver for us. 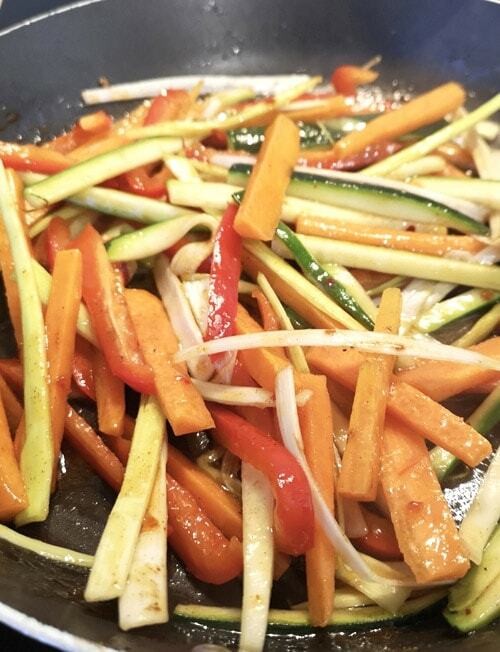 The recipes were so easy to follow and were full of vegetables, which we loved. The boys mostly tried to eat around them, but there’s nothing new there. They did try everything though, which is impressive in itself. The Pork Loin Laksa recipe made a huge portion with all the noodles, so we actually took a bowl over to Si’s Dad and he was pretty amazed I’d cooked it. I’ll definitely be making this one again. After cooking the recipes in the box, I actually feel like I want to cook more often and experiment a bit more too. I’ll definitely be ordering an Eat Fresh box again, I’m looking forward to seeing what other recipes appear on their site (link to site plus a discount code at the bottom of the page!). There’s already several on there that I love the look of. 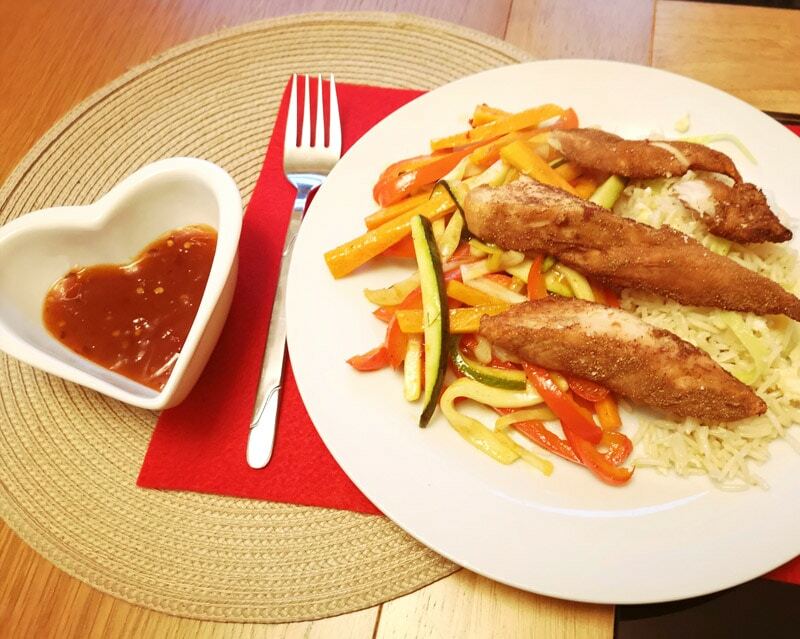 We’ve been stuck in a bit of a rut for ages eating the same meals over and over again and relying on freezer meals too much, it actually felt so good to get a bit creative in the kitchen and try some new things in the kitchen! The sweet chilli chicken with egg fried rice was also really tasty, especially the sweet chilli sauce on top of the vegetables. I didn’t actually think I liked sweet chilli sauce, but with the egg fried rice and chicken it tasted a lot like sweet and sour sauce, one of my favourites from the Chinese takeaway. 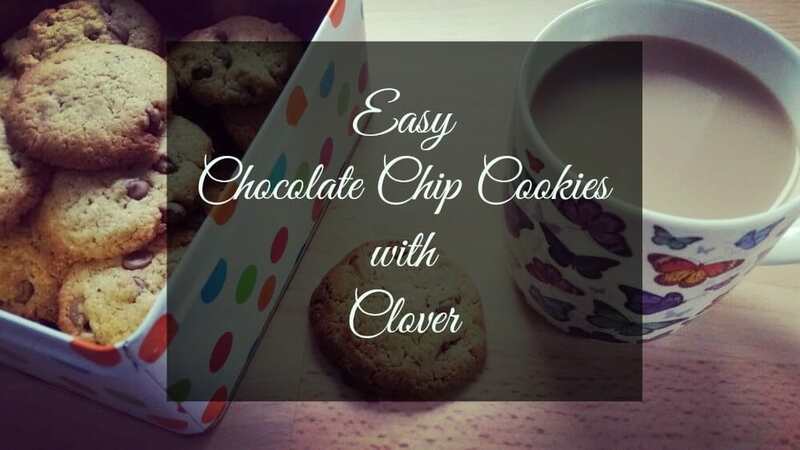 The whole recipe is a bit of a ‘fakeaway’ really, much healthier for us and a whole lot cheaper too. Our third meal choice was probably the least adventurous, but I can’t resist a well cooked steak. With the chips being home-made in the oven, with watercress salad, mushrooms and tomatoes this was a healthier option than we would usually have when eating steak too. 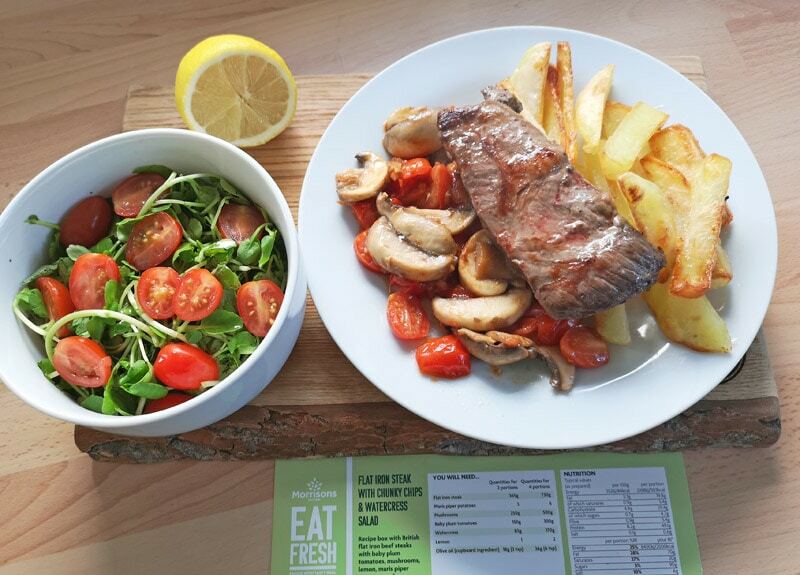 Healthier but oh so tasty, flat iron steak is surprisingly tender when cooked properly – thank you Morrisons and my trusty meat thermometer. So which was our favourite? 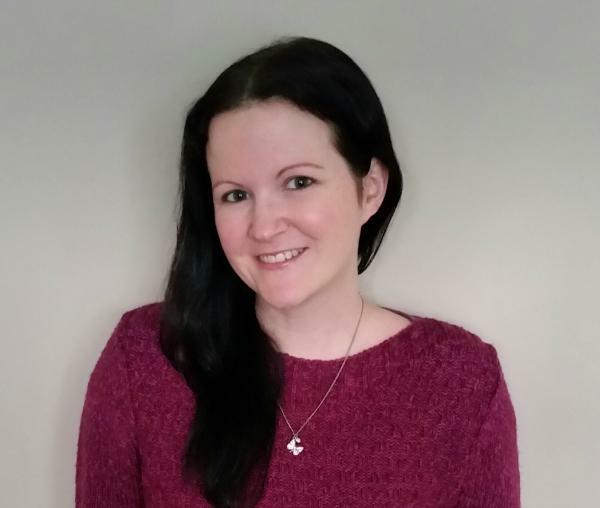 Well Si loved the steak the most, the boys the chips – predictable as ever ha, and mine was the sweet chilli chicken, the sweet chilli sauce on the vegetables is going to become a frequent addition to tea time here I think. So do I recommend trying Eat Fresh yourself? I really do! Personally I think they’re brilliant, much more affordable than other recipe boxes that I’ve seen and are full of tasty British produce. They also send a lot of the veg loose in the brown recipe bags, so that reduces how much plastic they send out too, which is always a good thing. Plus, if I can follow their recipes and make delicious food, then anyone can! 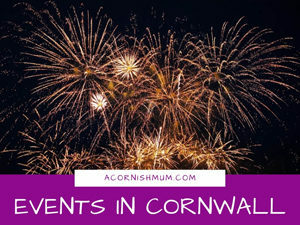 If you would like to try out Eat Fresh yourself pop to the Morrisons website and use the code acornishmum50 to receive a 50% discount off your first box (new customers only and the box must be over £25). 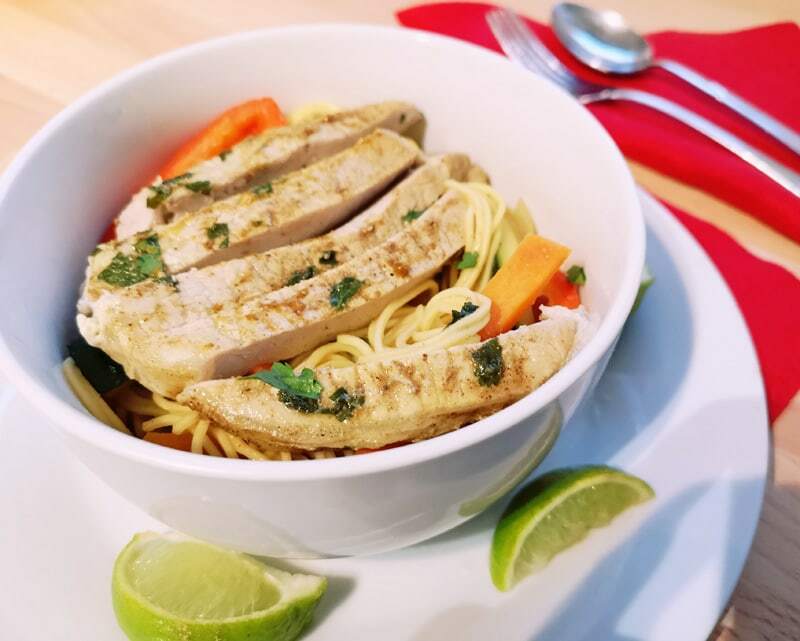 This looks brilliant, and such good value, Asa and I wait until the children are in bed before we eat but I am fed up of the same meals, will definitely be giving this a try and with a Morrison’s store just down the road I can recreate it if it’s a success! Plus our surname is Morrison….. 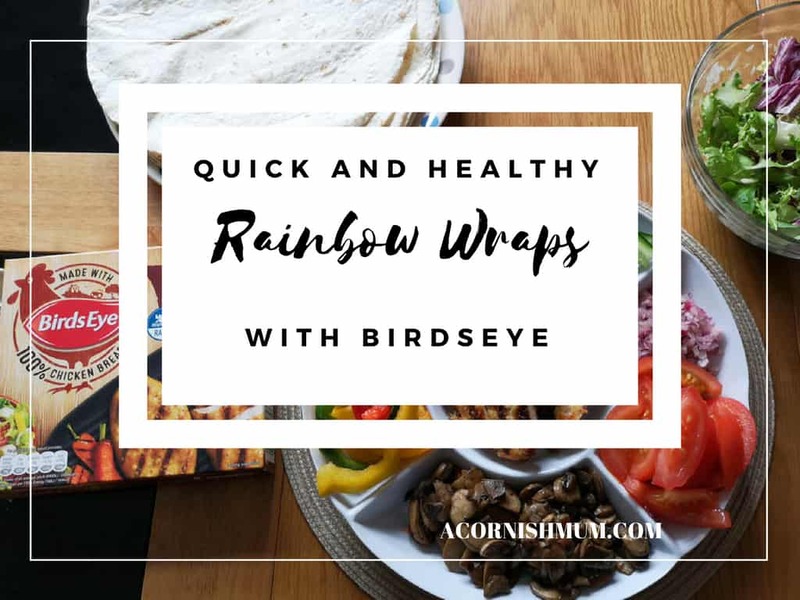 They really are and all of the ingredients were lovely and fresh too, we ended up eating way more veg than we usually do when we’re having a quick meal in a hurry, so it’s a healthy alternative for us too! 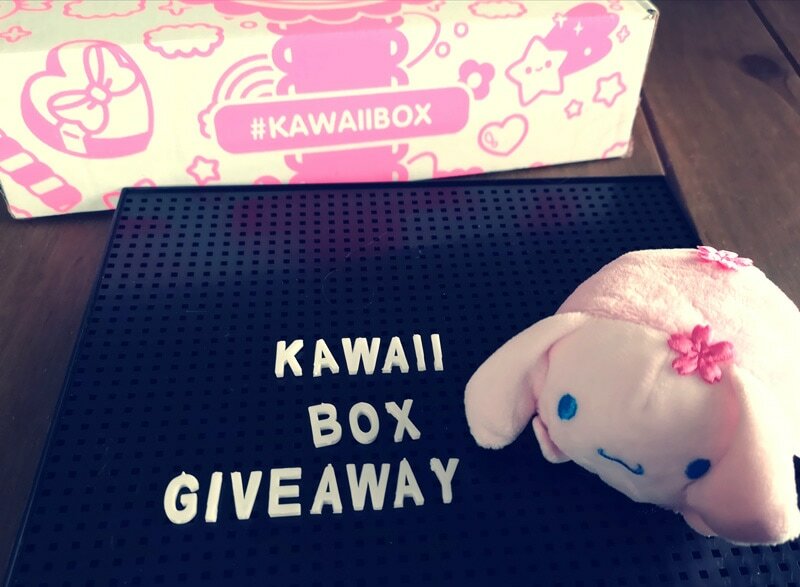 Ha then it was clearly meant to be ;) They really are such a good idea and they’ve added some new meal choices since I last chose mine too, think I need to order another box soon! It is definitely more affordable than many I’ve seen! 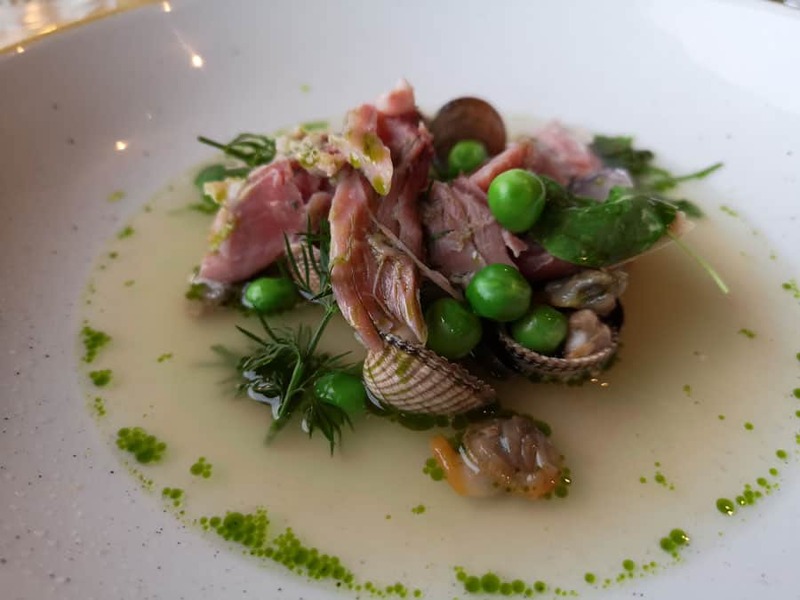 They were really good meals too, I mean if even I can cook them….